A new Lean System Quick Reference Guide has been rolled out across the EMC, led by its creator Sarah Wilkowski, a member of the IPS team. Sarah feels very passionately about the project, which explains in simple terms why the facility uses Lean Systems and Tools and how to use them effectively. The guide is located across the site on zonal team boards and in team pods to make them easily accessible to all associates. This provides everyone with the opportunity to up-skill and develop their own understanding and knowledge. It acts as a coaching tool that can be referred to during Standardised Work Confirmation, 5S activities, Process Confirmation and Kaizen, amongst other things. Before she joined the EMC, Sarah was training to be a teacher, although she decided the career was not for her. In a total change she applied to work in the prison service and was successful in getting a job as a prison officer. She enjoyed the job, but was keen to find something a little less dangerous. Sarah says that her time with the IPS team has made her realise that as hard as the team tries, due to the nature of the associates’ role, it’s unlikely that they’d be able to train everyone on every system. This troubled her, as she knew that there were a lot of associates hungry for knowledge. 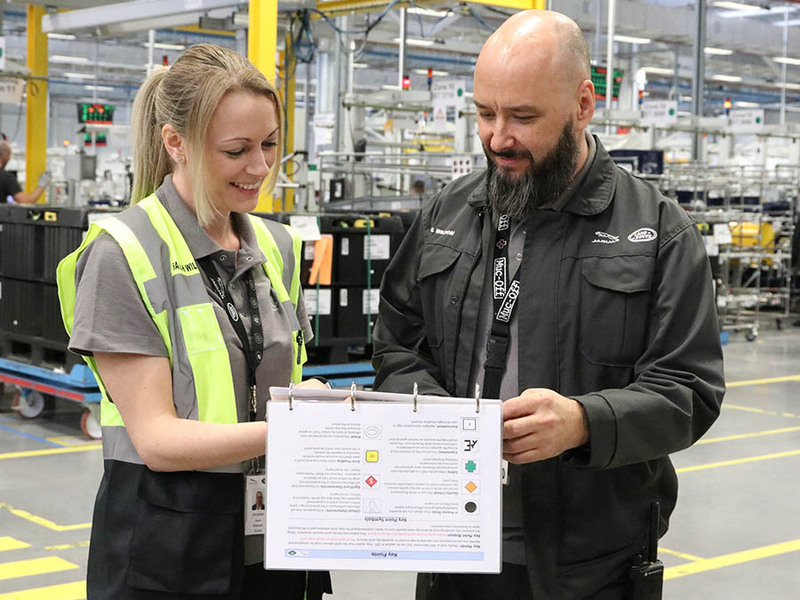 A Kaizen was created and after several months, plenty of tenacity and hard work the Lean System Quick Reference Guide was launched and rolled out across the facility. During the creation of the guide, Sarah also realised that there was a gap in follow up support for learners. This led to the incorporation of easy to read guides within the pack, providing readers with a basic understanding of each lean system and an idea of how each tool – such as a 5S audit sheet – should be utilised. The guides make information accessible to all, creating an environment rich with clear and consistent learning opportunities. Being new to manufacturing, I was unfamiliar with a lot of lean system concepts and although I understood how to complete a task such as a 5S audit, I was keen to develop my understanding further. I wasn’t satisfied with knowing how to do the task, I wanted to understand why we did it, developing my knowledge and sharing it was others.